* HD specular reflections provide natural light for you to have the most natural look. 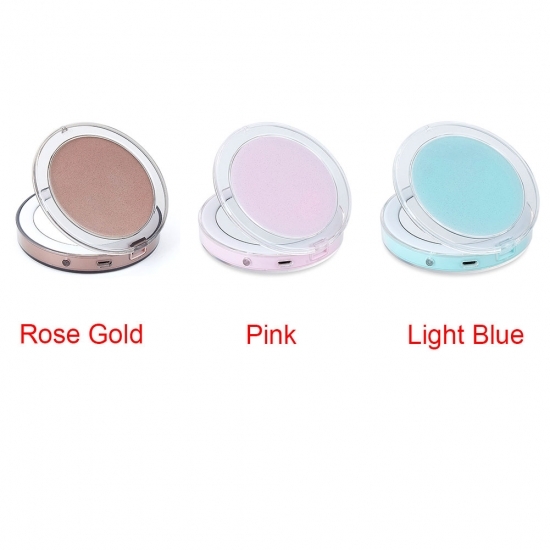 * Compact, ideal for wallets and handbags. * Double-sided folding mirror (1x / 3x) to meet your needs, 3x magnification is very suitable for checking makeup. * Natural lighting protects your eyes, and you can adjust the brightness you like. 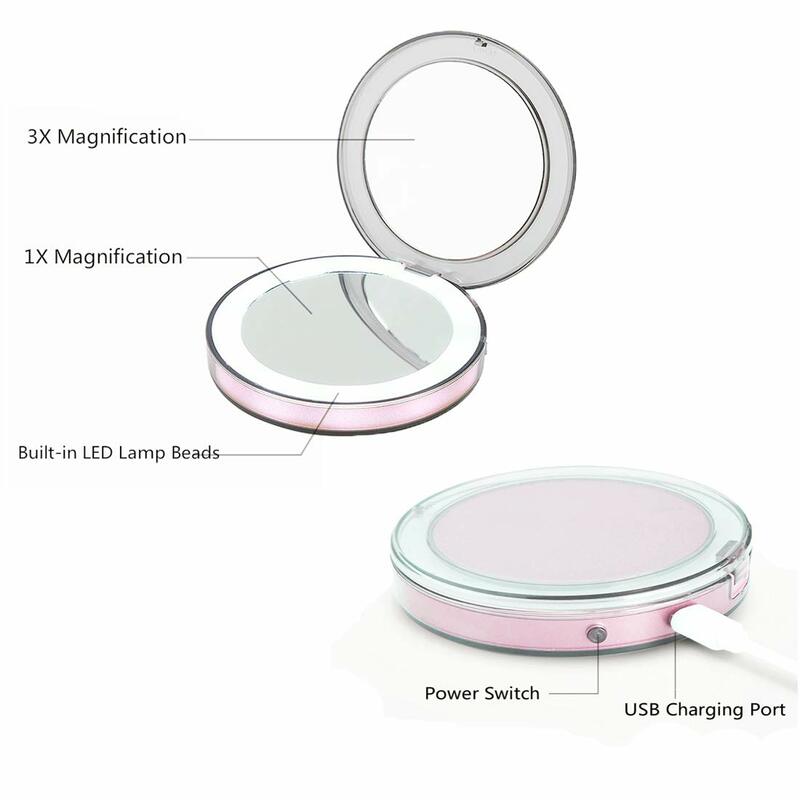 * No longer need to replace the battery, just use the USB charging cable to charge the mirror. 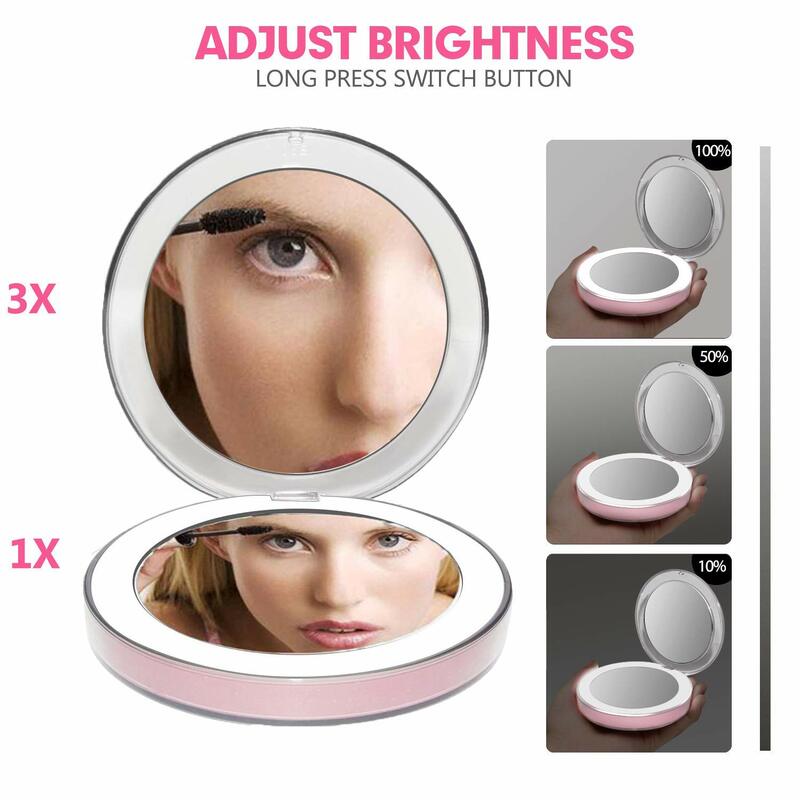 * Elegant makeup mirror for any occasion or as a gift. * The color of the mirror is elegant and stylish PINK, and when you get it, you won't want to give it. 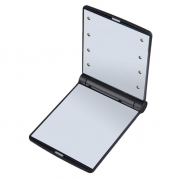 1.According to the “OPEN” logo on the product, gently turn the cover of the product. 2.Press “POWER SWITCH” enter auto mode, again press “POWER SWITCH” enter Always light mode, and again press “POWER SWITCH” off LED light. 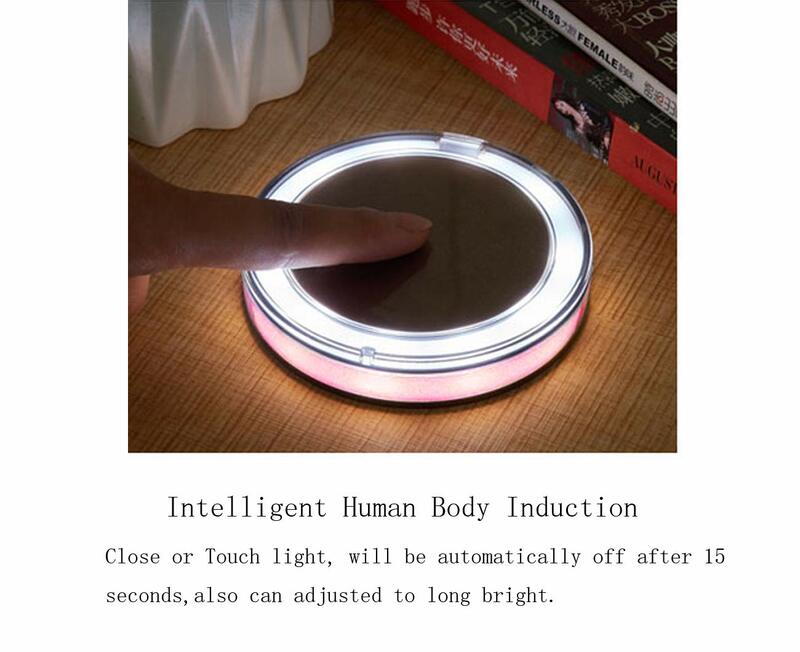 Auto mode(touch induction): When the hand touches the product, it will automatically light 15 seconds. 3.Adjust brightness: Always light state long press “POWER SWITCH” adjust brightness. 4.Charging indicator: Effect of breathing lamp, charging completion LED extinguishing.